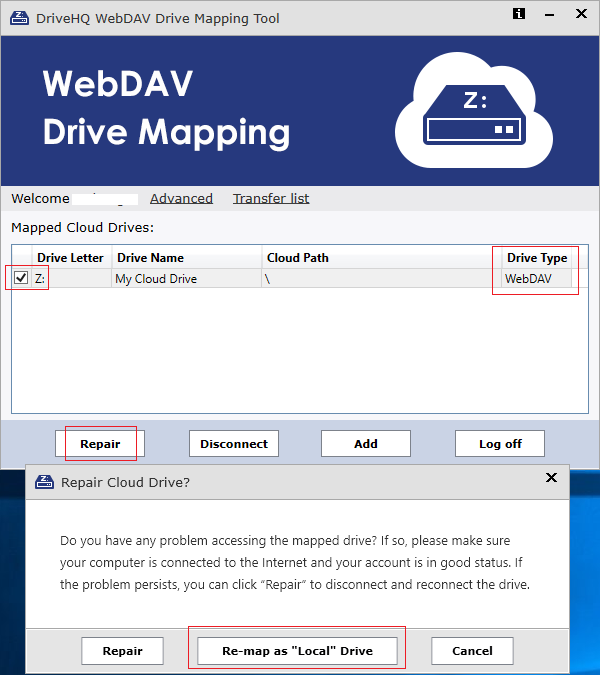 DriveHQ WebDAV Drive Mapping Tool 4.2 has included a lot of new technologies to make cloud drives faster and more reliable. It has worked very well. However, recently we had a few users reporting some strange issues, mainly in opening Microsoft Word files. 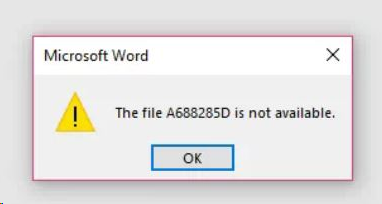 When opening a Word document file, Word displays the following dialog: "The file A688285D is not available." Oddly, "A688285D" is not your file name at all. - When you attach a file on a WebDAV cloud drive, Outlook will convert the file path to a URL. It will ask if you want to attach the file as a link. Most users just want to attach the file instead of a link. Mapping as "Local" Drive can solve this problem. - When you have one Excel file referencing data in another Excel file (on a WebDAV cloud drive), Excel converts the destination file path to URL. However, when you map the same cloud drive on a different computer, the URL is usually different for security reasons. Thus, if you copy your Excel files to another computer, you will have to update the file links. Mapping as "Local" Drive can also solve this problem. Overall, Mapping as "Local" Drive probably can solve most of compatibility issues with Microsoft Office (Including Office 365 and older versions of Office).